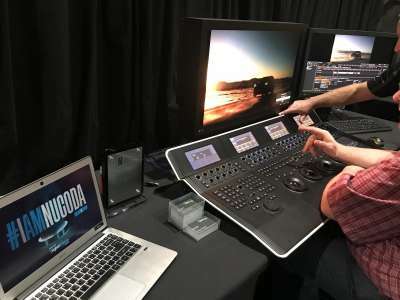 After joining the Netflix Post Technology Alliance (PTA) last month, our Nucoda Colour Grading and Finishing software is now certified to bear the PTA logo, which assures artists and facility operators that Nucoda meets the current Netflix colour grading technical specifications. The logo also certifies that Digital Vision World is committed to the technical innovation needed to serve the ever evolving production and post-production communities. We are proud to have taken part in the first ever Netflix Tech Fair, which took place in Los Angeles last week. It was great meeting with other members of our industry, as well as the Netflix team! From the technical, and legal departments, to the content producers themselves, it’s plain to see that everyone at Netflix is passionate about delivering the best content possible. By working to solve the challenges currently faced by the industry, Netflix strives to push the boundaries of technological innovation so that creativity has no limits!